We are based in Cumbria on the edge of the Lake District National Park and our mission on the nursery is to grow hardy beautiful plants that will thrive in Cumbria and beyond. The site is split into two distinct areas; the Growing Hub where on just an acre of land we grow over 1000 different perennials ranging from ground hugging Thyme to the loftiest 2 metre high Meadow Rue. Alongside this are the nursery gardens which intersperse our extensive sales areas. 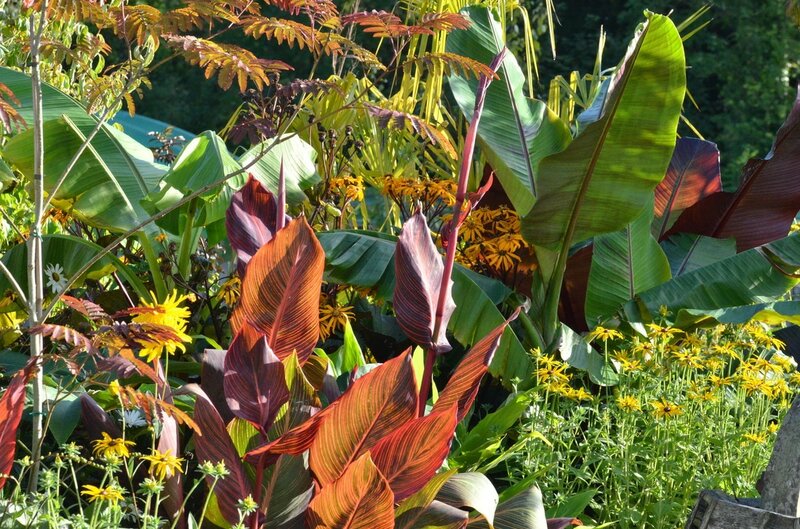 In these changing, energetic borders, we experiment, showcase and celebrate the plants that we raise on site, in the hope that these borders may fire your imagination. "We grow hardy beautiful plants that will thrive in your garden"
Our wide range of plants include herbaceous perennials, shrubs, trees and bedding plants, but if you're not sure what you're looking for we will always be on hand to give some friendly advice. We also offer design and consultation services, ranging from simple border re-design to comprehensive site re-workings. Please see the Design Service page for more details.